Symbolic of wealth, abundance and good luck, mandarin oranges and exchanging them between family and friends has always been a key tradition during Chinese New Year celebrations here in Singapore. 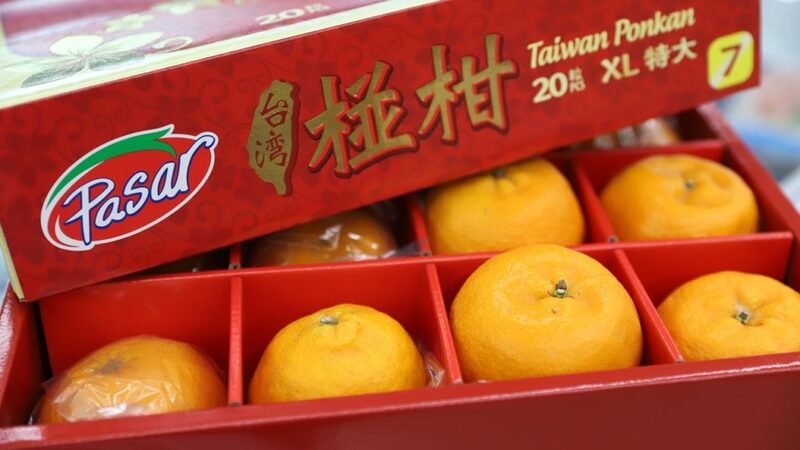 While Ponkan, Lukan, Swatow and Tangerines are among the most common varieties, there are more than a dozen different types available during the festive Chinese New Year season. Contrary to popular belief, they don’t all come from China, with orange supplies coming into our shores from Taiwan, Japan, Korea and even Pakistan. Lukan Mandarins don’t just look good, they taste good and keep well too (Photo credit: Jonathan Tan). They may be hard to tell apart, but each Mandarin orange variety is unique. 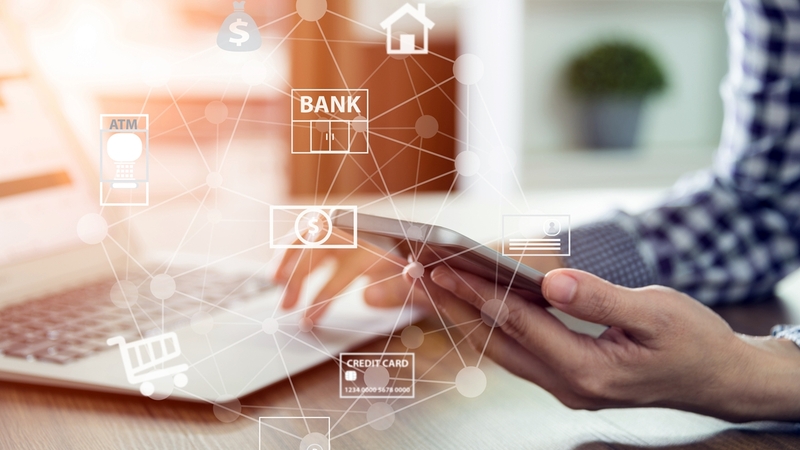 Price-wise, there will be differences too. The smaller Ponkan varieties are very popular for their sweet, juicy pulp. However, due to their softer, easy-to-peel skin, they don’t keep as well in our hot and humid environment as the Swatow variety, which has a thicker skin and a milder taste. Lukans, on the other hand, seem to fall right in the middle, with a larger size, good taste and firm appearance. Mandarin oranges may look the same, but they have different characteristics that appeal for different needs (Photo credit: Jonathan Tan). 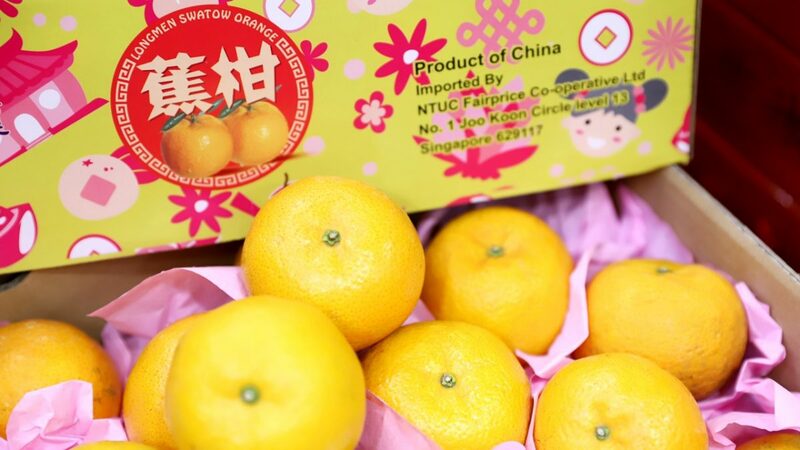 To ensure that customers get the freshest fruit at reasonable prices, retailers like FairPrice begin the sourcing work as early as three months ahead of the Chinese New Year season. 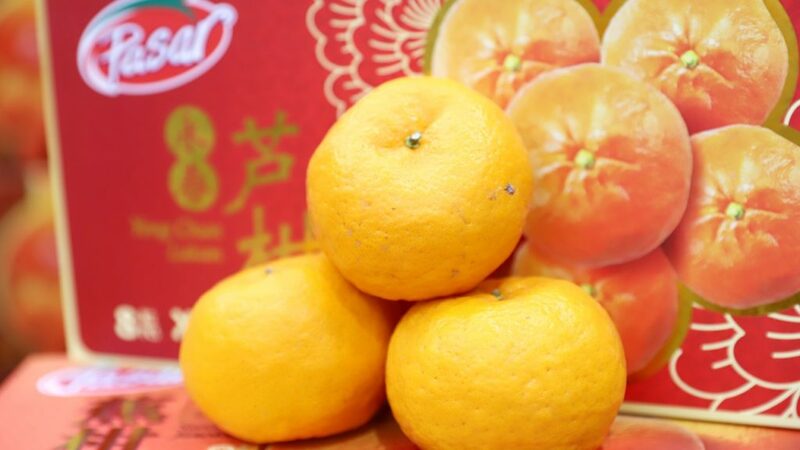 With the first days of the Chinese New Year taking place on 5 and 6 February 2019, the orange sourcing would have taken place as early as late October so that customers can get the widest and best selection in mid-January. Making orders for oranges may be one part of the work, but ensuring a stable supply of such a key festive item is what really counts. Remember to keep your Mandarin oranges in a cool, dry place as they can spoil easily in humid conditions. 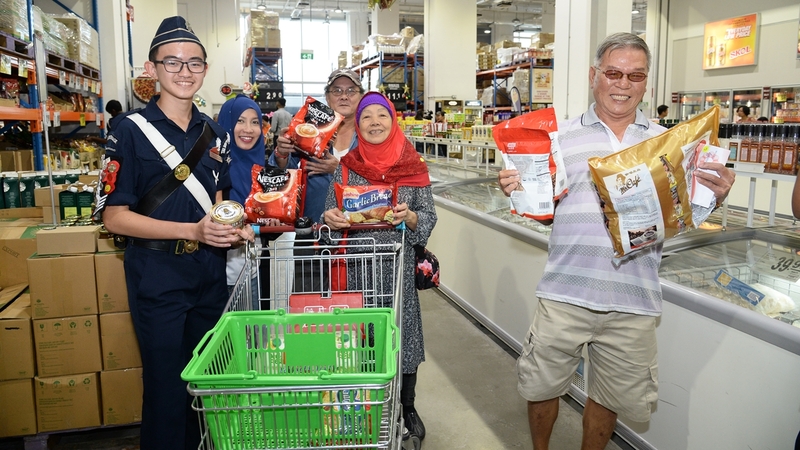 Peter shared that FairPrice practices what is known as diversified sourcing, where it buys its oranges from multiple sources so that customers like you and me have a stable supply of fresh oranges at affordable prices. 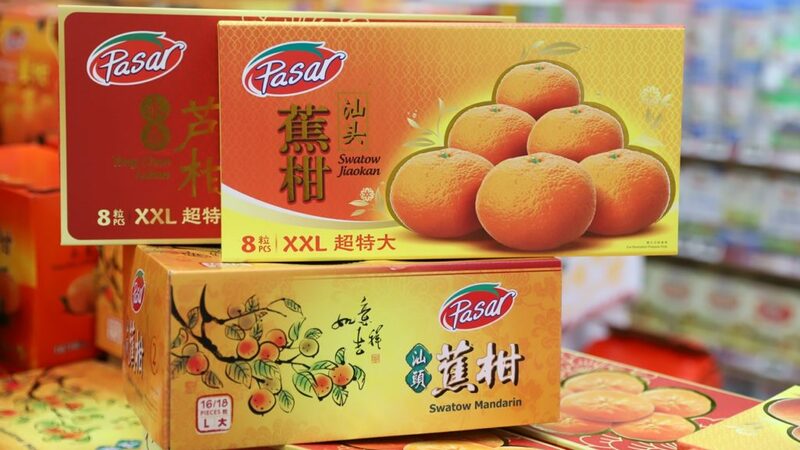 “We also offer mandarin oranges under FairPrice’s housebrand range, Pasar, where we work directly with suppliers to source for products with the best quality and value. Weekly price surveys are also conducted to ensure we provide good value to consumers,” he added. Oranges typically don’t keep very well in our weather. Given our high humidity levels, they’re susceptible to turning mouldy. This is why it’s recommended that oranges be kept without their plastic wrapping as that traps unwanted moisture. While the fruit compartment in the fridge is best, a cool dry place with air circulation would be the next best alternative. To maintain freshness, Peter said the Mandarin oranges that are sold at FairPrice stores go through rigorous quality control. “The Mandarin oranges are stored at our Fresh Food Distribution Centre, and are inspected for quality and freshness when they arrive. Temperature checks are also conducted to ensure the cold chain management (oranges are shipped in temperature controlled conditions) is maintained throughout the journey,” he added. 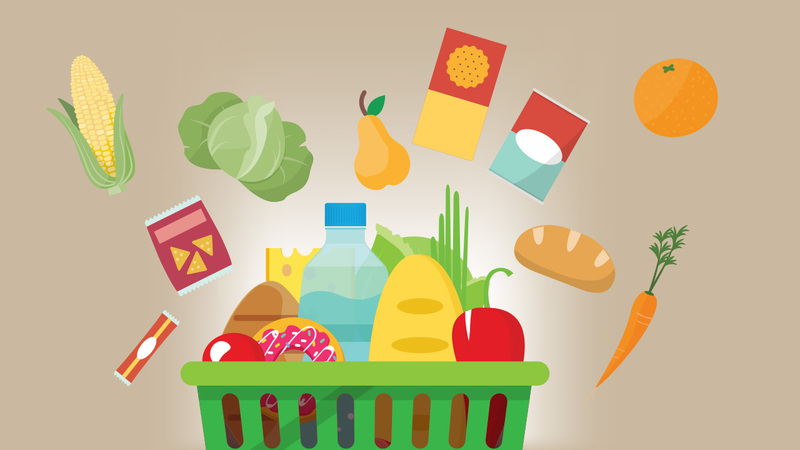 Besides frequent checks and the delivery of new produce daily, there is also a Freshness Guarantee policy which allows customers to return or exchange produce that are of an unsatisfactory quality at the same store of purchase, with receipt, of course.